Forex Club offers a forex bonus that ranges from $100 to $200 for first time depositors. That may not sound that spectacular - after all, there are other forex brokers that offer forex bonuses that are much bigger - but aside from the forex bonus Forex Club has a lot to offer to both experienced and beginning forex traders. 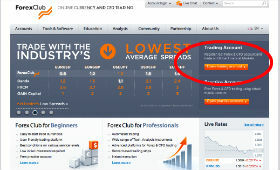 One of the best things about Forex Club is their spread refund program. Say what now, spread refund? Yeah, it's pretty cool. Forex Club will automatically refund all the spread you've paid for unprofitable transactions. The standard spread you pay is 4 pips and that may seem high, but if you're the kind of trader that has about 25% winning trades, you'd only pay 1 pip on average per trade. For most traders, this is an extremely good deal. N.B. Please note that the spread refund program is only available for Silver accounts and up, meaning you have to deposit at least $501. 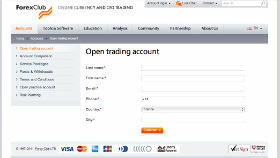 Forex Club was one of the first forex brokers to come with a trading app specifically made for the iPad. It's free and enables you to trade in forex and stocks from the US. Brazil and China stock markets. The trading app comes with charts, technical indicators, news updates and info about your trading account. The forex club trading app greatly enhances your access to the markets on the go, which we really liked. Forex Club is regulated by the National Futures Association (NFA) and is also the only broker with an ISO 9001 international certificate for its operations. Now, being regulated by the NFA or having an ISO certificate isn't the only thing that counts towards being a great forex broker, but it does show that this is a serious, trustworthy broker, and to many traders that is an important positive. 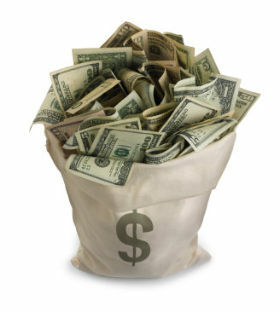 You will get $100 bonus when depositing between $501 - $1,500. For depositing $1,501 or more, you'll get $200 forex bonus. Support: Good. possible to contact by phone, email and live chat. Forex Club uses Metatrader as its trading platform and also offers their own trading platform, called ActTrader, which has a PC download version, webtrader version and an app version for Android and iPhone / iPad. Other mobile phones can use the mobile webtrader to trade online on the go. Bottom line: if you just want to dabble a bit in forex trading and / or have no trading capital, forex club might not be for you. But if you're a seriously ambitious forex trader with a trading capital of $500 or more, and you are looking for a quality forex broker, forex club has a lot to offer. The $100 - $200 forex bonus is one thing, the spread refund program is another, as is their trustworthiness. 4. Make first deposit of $501 for $100 bonus, or deposit $1,501 for $200 bonus.